Have you ever wanted to start a side hustle? Then this video is for you! If you want to start an online business, getting started online is easier than you might think. 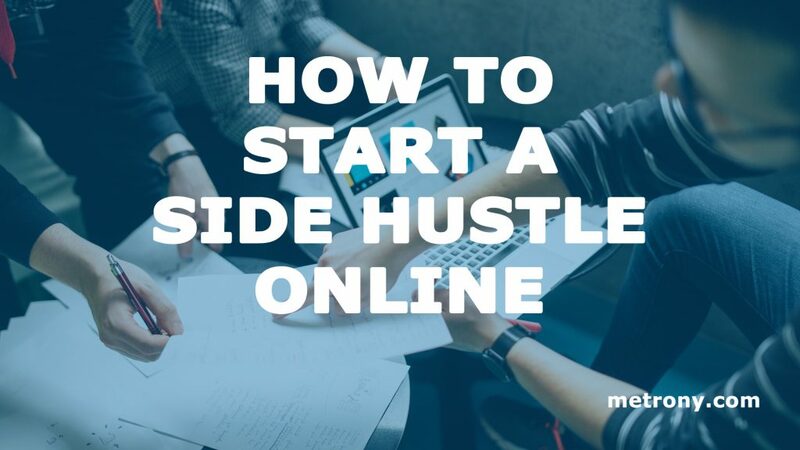 Learn how you can start a side hustle, side gig, or second job online. Take your idea online – the only thing you need to begin is a domain name, a website, master one or two social media channels, and of course, you’ll need your idea too! If you are not sure about how to set up a website, then watch a quick video (below) about WordPress and how you can get your online presence going for under $100 USD. If you need help marketing your idea and are not sure what to do on social media – common questions are “What channel should my business be on?”, “What do I post?”, and finally “When is the best time to post?” – visit the Metronycom YouTube channel and earn more about how to market online. There are many useful apps to help you become more productive as well. Of course, you’ll need to work on your business plan and pricing and eventually assemble a team to expand your market. There are many videos on this channel to help you master social media. A side hustle can get you that extra money you need to move from side gig to full-time trep! Next Next post: How to Make Money with Your Side Hustle Online!